Do you get freakin’ excited and pride yourself on providing fun, fresh and effective coaching sessions, delivering awesome customer service and showing women that looking after themselves can simple and joyous! Hey! We are Brit and Shell. Four years ago we went all in and followed our passion of wanting to disrupt the norm of women’s fitness in Newcastle. And so Pineapple Fitness was born. Pineapple Fitness attracts down to earth, supportive, kind, loving women building a fun and inspiring community. We embrace and empower all women by treating our members and staff as individuals, and provide the specific tools, support and the accountability they need to achieve and deliver life changing results. To provide world-class coaching in a group environment and one to one personal training. We are not a large bootcamp, we care for each individual, and deliver measurable results for our ladies. To work closely with the owners to ensure the member experience is 5 Star plus develop and grow the business through outstanding customer service to Pineapple Fitness Clients, staff, suppliers and audience. 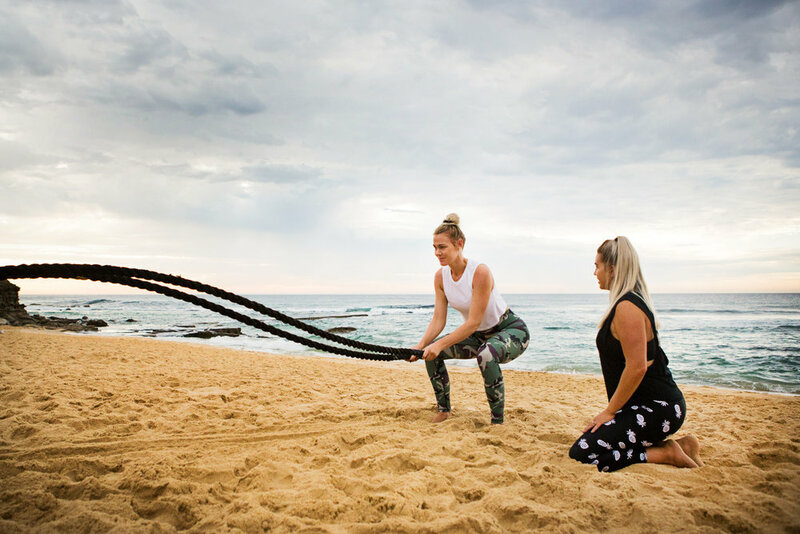 To cultivate a strong sense of community, and create raving fans of Pineapple Fitness and be dedicated to achieving Pineapple Fitness’ Mission and embracing and living out our Core Values. Nutrition - nourish your body with simple, wholefoods most of the time but if you want cake, eat the damn cake! Continuously reviewing and upgrading the sessions and training programming to keep clients moving towards their goals and ensuring sessions are effective, enjoyable and fresh. Demonstrate proper exercise coaching and instruction, including providing alternatives for clients who are injured or incapacitated in some way during that session. (You need to have a working knowledge of the human body - muscles, movements and functions). Deliver inspiring, motivational and interesting fitness sessions including changes in voice/pitch, providing relevant information, stories and anecdotes. Learns quickly - Demonstrates ability to quickly and proficiently understand and absorb new information. Uses initiative. People skills and personality - You must LOVE working with people! As mentioned above you must be very comfortable working with people. This is an uplifting studio and you must be able to show your clients energy and excitement while working with them. If this opportunity excites you and you're looking to make health and fitness your career, then complete the web form below and if we agree, we'll get in touch!